WILMINGTON, Del. (November 8, 2018) – Four-year-old Blakleigh Grace Lipe was out of options. Her Stage 3 hepatoblastoma was proving resistant to chemotherapy, threatening her life, when her local oncologist reached out to a team of pediatric liver specialists from Nemours Children’s Health System who are pioneering a treatment that targets radioactive micro-beads directly to the tumor site, while sparing surrounding healthy liver tissue. A new study published today in the journal Pediatric Blood and Cancer, finds that the procedure, known as Transarterial Radioembolization with Yttrium-90 (TARE-Y90) is a feasible treatment option for children with liver cancer that is resistant to chemotherapy and cannot be surgically removed. TARE-Y90 treatment, approved by the FDA for adults, allows much higher doses of radiation to be delivered directly to the tumor by using an image-guided catheter to carry radioactive microbeads through a tiny incision in the groin. The process is intended to shrink tumors to increase survival time to allow for surgery or transplant. Few places offer TARE-Y90 to pediatric patients, but at Nemours, it is performed by the multidiscliplinary Liver Tumor Treatment Team, including oncologist Howard Katzenstein, MD, transplant surgeon Stephen Dunn, MD, and interventional radiologist Allison Aguado, MD. Blakleigh’s cancer was originally discovered during a routine physical. 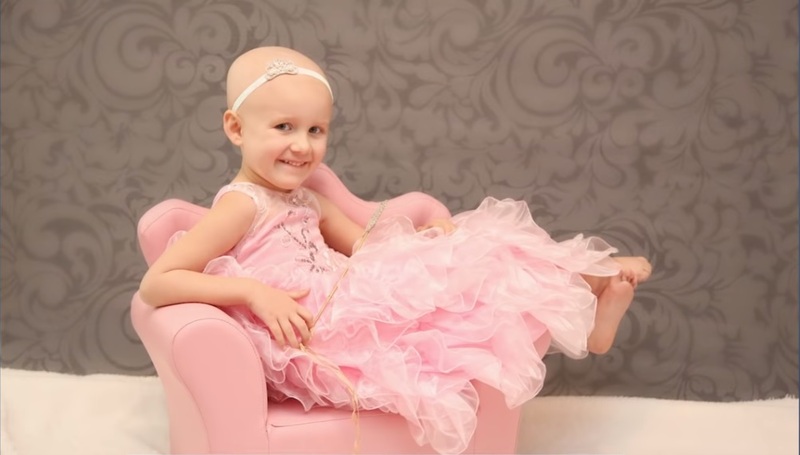 Her tumor was inoperable and did not shrink after two grueling months of multiple rounds and combinations of chemotherapy. Left with few choices, her family sought care at Nemours when her local oncologist contacted Dr. Katzenstein, a nationally renowned specialist in pediatric liver cancers. 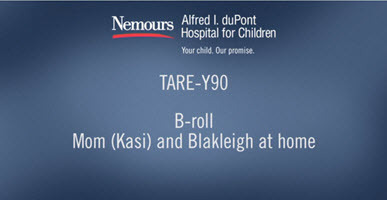 From there, the Nemours care team determined Blakleigh would be a candidate for TARE-Y90. After a successful procedure, the liver tumor responded to the treatment and shrank. The reduced size allowed the care team to remove the cancer and diseased parts of her liver. Even with renewed faith in an innovative care plan, Blakleigh and her family had been left with mounting medical expenses from her failed treatments that threatened to derail out-of-state travel for further treatment. However, her close-knit community of Murphysboro, Illinois banded together in a series of fundraisers to raise more than $22,000 to help with Blakleigh’s medical expenses. The research published today describes a retrospective review of 10 children between the ages of 2 and 18 years old with primary liver cancer treated with TARE-Y90 between January, 2011 and April, 2017. All patients had previously been unsuccessfully treated with chemotherapy and still had liver function, but no curative surgical options. As a result of the TARE-Y90 treatment, seven patients showed temporary disease control, with two additional patients demonstrating a partial response and one with a robust response that was able to be bridged to transplant.